Why state actions to increase access to THC are simply widening Pandora’s box. #FUDINGUDIN found another opportunity to team up, but this time it’s really all about Dr. Gudin. I’m delighted to share Dr. Gudin’s most recent editorial as published in Practical Pain Management, where we are Co-Editors-At Large. 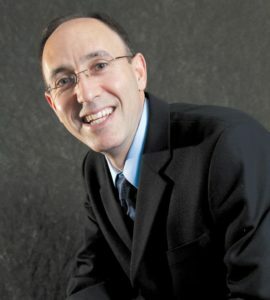 PPM has graciously allowed this article to be simultaneously published here on Paindr.com and Practical Pain Management. New Jersey recently joined the states of Pennsylvania and New York in allowing for medical cannabis to be used as an adjunct to medically assisted treatment for Opioid Use Disorder (read the full story). Here, Jeff Gudin, MD, offers his take on these legal changes. As a provider who has recommended marijuana for medicinal purposes in certain cases, I have personally witnessed the occasional patients with chronic pain, and even cancer pain, taper down or completely discontinue opioid analgesics once starting cannabinoids. Unfortunately, studies reviewing the effectiveness of cannabis for the treatment of pain have not been convincing. My opinion on marijuana is a bit more ‘bipolar.” I believe that responsible adults should be able to use intoxicating substances in the safety of their own home at their own discretion. The bigger issue is that many adults, and most adolescents, are not responsible. I do not want my wife or children on the roads with anyone who is intoxicated or high, regardless of the causative agent. And in its current forms, there are few safeguards against pesticides, mold, contaminants, and strain/dose accuracy of marijuana, whether obtained for recreational or medicinal purposes. As a believer in science and an academic at heart, I try to let evidence form the basis of my decisions on healthcare treatment. I believe that tetrahydrocannabinol (THC) may be used as an effective anxiolytic, and appetite stimulant. Further, as CDB research has shown, it may also serve as an anticonvulsant for certain rare cases of epilepsy. Restrictions to access and transport should be lifted so that scientists and researchers can determine the appropriate strain, form (ie, edible, pill, topical, vaporized, smoked), and dosage for each specific condition. This research should be carried out with the same testing and peer-review process that occurs for any medication utilized in this country. 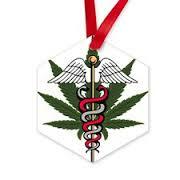 I have visited dispensaries in Colorado and California and spoken with a few in New Jersey, where I practice. Although I have to specify the quantity dispensed, the type (strain), form (eg, smoke versus edible), and brand are selected by the dispensary’s “budtender.” A quick online search reveals that Budtenders are often “self-taught” and may obtain a “certification” through paid courses. In Colorado, applicants need only need pay a small fee and present a driver’s license showing their proof of state residency and age (21 or older) to sign up. This is not the way I envision medicine to be practiced. Last month, Scott Gottlieb, MD, commented on hemp (Cannabis sativa L) from the Controlled Substance Act; it is no longer considered an illegal substance under federal law, consistent with the Farm Bill of 2018. Like other approved drugs, FDA requires that any cannabinoid product that claims therapeutic benefit in treating a certain medical condition be approved for its intended use before it is introduced into interstate commerce. This change will likely stimulate further research into CBD and perhaps lead to improved cannabinoids; a non-psychoactive drug with potential medical benefits should be legal and readily accessible to academia for research and publication on its therapeutic potential. As noted, New Jersey recently joined a few other states in legalizing medical cannabis to aid in the treatment of opioid addiction. My experience with addiction medicine practice in New Jersey suggests that increasing access to or legalizing THC is a bad idea. No shortage of concerns arose when I heard Governor Murphy’s announcement: Where is the evidence that marijuana is an effective treatment for OUD? Where will the state’s Medicaid patients get the hundreds of dollars per month that dispensaries charge for THC? Is giving known substance use disorder patients a drug like marijuana that they can easily sell or trade on the streets for heroin a good idea? Instead, why not offer mandatory monthly injections of naltrexone (Vivitrol) for those presenting with OUD and/or suspected opioid overdose? How about personal healthcare navigators assigned to every patient with OUD for daily monitoring and support? Or, how about increasing the number of law enforcement personnel cracking down on heroin dealers; my patients tell me all the time how easy it is to procure heroin. I can think of many more effective ways that New Jersey, and other states, can better support ending the nation’s opioid crisis without adding an unproven drug with addiction potential and health detriments to an already existing problem. Only time will tell whether marijuana becomes a silver bullet or a landmine. From a healthcare perspective, I look forward to the day when we have new analgesic pain therapies without addictive potential (eg, check out PPM’s “Future of Pain Management” expert roundtable in our upcoming issue). The 2020s may become the decade of suffering, as masses of physicians are abandoning stable pain patients on controlled substance analgesics because of all the bad press. So, what is a clinician to do in this changing climate? My advice: stay vigilant. Follow the recently amended state and CDC guidelines for prescribing opioids for chronic pain. Screen your patients for risks of prescription drug misuse, inquire about personal or family history of substance abuse, psychiatric illness, etc. Utilize your state prescription drug-monitoring program and learn the basics of urine drug monitoring. Until further evidence of its benefits as an analgesic, marijuana will stay positioned medicinally in my practice as a potentially useful adjunct for certain types of pain refractory to conventional treatment. I do not think it will be a replacement for opioids in its current form. For now, let’s try to stay data-driven. Expanding the use of marijuana to patients with substance use disorder and further consideration for widespread recreational use needs to be driven by evidence of benefit and lack of harm. Let’s not let the politics or economics “cloud” our minds into making decisions that are not in the best interest of public health. Humphreys K, Saitz R. Should Physicians Recommend Replacing Opioids With Cannabis? JAMA. 2019 Feb 1. Berenson A. Marijuana, Mental Illness, and Violence. 2019;48;1. Jeff Gudin MD is currently Director of Pain Management and Palliative Care at the Englewood Hospital and Medical Center in New Jersey. He is Clinical Associate Professor in Anesthesiology at the Rutgers New Jersey Medical School. Dr. Gudin is co-Editor at Large for Practical Pain Management. He is Board Certified in Pain Management, Anesthesiology, Palliative Care and Addiction Medicine. Using marijuana doesn’t make you an addictive person, what Miss Universe Catriona Gray answered in her Q&A question “I’m for being used in medical use but not so for recreational use. Because I think if people were to argue, ‘what about alcohol and cigarettes?’ So everything is good but in moderation.” Some people used marijuana for medical purposes, as one of the users i found this V and i think it is one of the best MJ that can help us when it comes to the medical aspects. Hello As a patient and patient advocate for the Terminally Ill Disabled and Elderly, I find merrit in examining the current Gold Rush into the absurd promise of a millenia old plant suddenly curing all ills. Both the Poppy and Marjuana have been used by human beings and apes for thousands of years for anelgesis because these substances mimic the exact chemical compounds the body produces to kill pain. Human beings have cannabanoid receptors and mu Opiod receptors because our own body produces endogenous cannabanoids and endogenous opiods to reduce pain signaling impacts. The science on efficacy of both therapies could not be more solid for they have both been used for millenia. it is the dosing that pharmacological variants of opiods and cannabanoids promise controlling overdose. there will never be a way to prevent anelgesic overuse according to multi millenia of study on it. society has become anestitized into thinking that pharma can create a panacea that has no potential for abuse. that will never exist because sickness and treatment of pain does not an addict make. addiction is a seperate disease from diseases which produce pain which has the potential to destroy the body. The CDC made erroneous recommendations based on pseudoscience by addiction counselors fully ignoring the body of science by the NIH showing that the gebetic variants and intestinal biom tupe and other biomarkers determine dosing not a political wishlist by addiction counselors battling an illegal street drug crisis. This absurd Gold Rush toward mideaval cures is frankly Orwellian. It helps only the ROI of pharma and it profpundly hurts the Terminally Ill Disabled and Elderly who now are forced to live in extruciating pain because doctors wont prescribe enough opiates to actually stop the pain. Patients are thanks to the CDC recommendations descriminated against and treated as malingerers and addicts when they may only be guilty of dying of pain producing disease. Pain itself causes a terrible toxic bath to the body. you only need to study as educated human beings the neuroendocrine footprint of pain itself and how it releases toxins into the blood stream supporting a pain cycle which rewires the cortical map. While doctors sit on panels diacussing the merits of their addiction protocols know that grandmothers are dying in agony being given only tylenol after hip replacements, children riddled with CRPS given advil instead of morphine, Grandfathers with ALS given gabapentin instead of Fentnyl. Doctors are auppose to do no harm. Drill mill doctors who prefer procedures tend to be against palliative care, because the more desperate the patients, the more they will demand invasive procedures such as epidural steroid injections, which are not fda approved. I’m not saying Dr Gudin is of this persuasion. But claiming “science” when there is plenty of science is bogus. Remember, cannabis is more like cooking then pharmacy. This is because of its wide benefit ratio to toxicity. So bud tenders, who do not have farm D degrees, or more like servers in a restaurant. They’re pretty of resources like leaflet.com to assist cannabis users in finding the right strain, the right application, at the right time of day. If you only had a grant you could investigate the 60,000 patients I saw between 2010 and 2015 and certify my experience that 80% of my opiate patients are off opiates due to cannabis. The reason I still fight for access to opiates for patients, is that 20% could not wean off opiates, and I have direct experience with multiple patient deaths after losing access to opiates. On the other hand, perhaps Dr. Gudin and Dr. Fudin and have another Spirited debate at conferences about this issue. Thank you for bringing it up. Dr. Ibsen, I appreciate your comments and will encourage Dr. Gudin to reply. For the record, I do have experience speaking to various people who work at dispensories. A huge problem that I see is that the expertise and training (if there is any) varies from state to state, and it’s like the wild, wild west out there since it’s an all cash business. In some states, pharmacists are required to have ownership or at least oversee the product purchase, purity, and distribution. While I’m the first to admit that all pharmacists are not expert in this area, they easily could obtain training because of their vast background in pharmcology, therapeutics, pharmacokinetics, pharmacogenetics, pharmaceutics, etc. In states where any random person can make a medical decision on what’s best for the patient, based on their personal experience of self-medicating, is a very dangerous precedent. In my mind, a pharmacist who truly understands the pharmacology of CB1 and CB2 receptors, the differences between THC and cannabidiol, and could make a reasonable assessment with consideration to drug-drug, drug-behavior, and drug-disease state interactions, is far better equipped to evaluate the patient and share findings with the patient’s medical provider for inclusion within the medical record. If cannabis is approved by a state or is being used recreationally, that’s another story. But, once you place the term “medical” in front of marijuana, it comes with a responsibility that has been largely missing in favor of tax revenue.